The modern world has given consumers countless options to find the products they need. Whether you want a personal care product shipped to your door monthly or need a two-hour delivery for an extremely urgent item, the world of sales has expanded to suit diverse consumer tastes. Not too long ago, the only way to buy a mattress was through a retail showroom. However, today you have more options than ever. One of your choices is to buy a mattress factory direct. This method can give consumers benefits that retail establishments simply can’t offer. What Do You Get When You Buy Factory Direct? Buying a mattress directly from the factory before trying it can seem scary, but nearly all factories offer generous return policies. 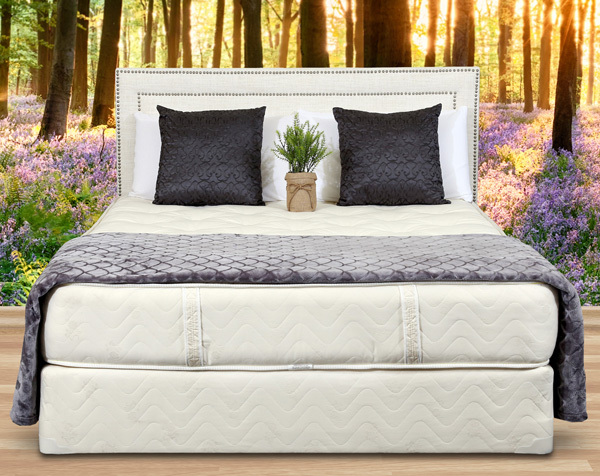 The ability to try out the mattress at home for an extended period of time can give consumers a much better idea of how good the mattress is versus simply laying down on it for a few minutes in a showroom. In this way, you can truly see if the mattress is right for you. If not, you can return the mattress within the set time frame without any financial loss on your end. Another benefit of buying factory direct is the absence of middle men and overhead retail costs that drive up mattress prices. When you buy directly from the manufacturer, you’re paying more toward the quality of the product and not toward keeping a store running. Therefore, a $1000 mattress that you get directly from the factory typically is higher in quality than an $1000 mattress in the home department in the mall. What Do You Get at a Showroom? If you’re the kind of person who likes to try before you buy, then the model mattresses at the showroom can give you a good idea of what to expect. In a store, you also get an in-person customer service experience. However, retail stores typically have less generous return policies compared to factory-direct providers. This is because customers have had a chance to sample the product in-person already, so the need for a longer trial period is not as necessary in the retailer’s eyes. The prices are typically higher in a store too due to various factors like paying for the store’s upkeep and providing employees commissions from sales. If you’re considering buying a mattress factory direct, then try the high-quality mattresses from Gardner Mattress. More of your money will go toward handcrafted mattresses that are made of high-quality and organic materials. You’ll sleep on natural materials that you know, like wool and cotton. You will also get to try our mattress risk-free for 90 days. If you don’t like it, simply contact us and we can take care of the rest. However, we’re pretty confident you’ll feel the difference of our handcraftmanship and be glad you chose a Gardner mattress! Previous article	Local Mattress Manufacturing vs. “Bed-in-a-Box” — Which Should You Choose?